Jaw-dropping artwork that you can do at home - No experience required! This 5D Diamond Painting by Diamond Art Club™ allows you to create a vibrant, artistic portrait at home, using an easy diamond painting technique anyone can learn to do. This paint-by-numbers style artwork uses beautiful sparkling resin diamonds that you craft onto the canvas to make stunning, intricate designs. 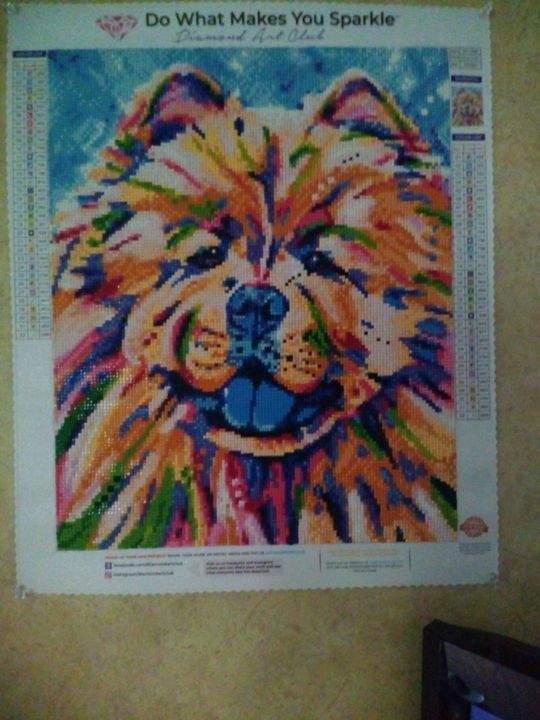 The artwork is printed on the canvas; all you have to do is follow the pattern and make your masterpiece shine! All 5D Diamond Painting kits sold on Diamond Art Club™ are full-drill, meaning your entire canvas will be covered with sparkling diamonds. The full-drill canvas will make your artwork stand out with brilliant colors and dazzling diamonds. Our patented tarpaulin material is specially designed to roll flat upon delivery and has a glossy shine that will make your diamonds sparkle even more. You will receive a carefully packed canvas as well as an entire kit of premium supplies and tools to enhance your diamond painting experience. Our diamonds are premium-grade with brilliant color and sparkle that makes your painting stand out amongst the crowd. The 2.8mm epoxy resin diamond facet is made with A-grade raw materials. The quality shows in the difference between Diamond Art Club™ finished paintings and traditional 5D Diamond Artwork. Our unique diamond design has 13 different surfaces that reflect light that creates a spectacular finished result. You have the option to choose between square or round diamonds. The round shape is easier to manipulate and place, however, the square diamonds fill more of the canvas, giving a more complete look for larger canvases. This canvas comes with a dynamic color palette, and several highlight colors to make the finished painting truly stand out. Our patented tarpaulin canvas is made from a 100% biodegradable, 100% woven polyester film. The canvases have a glossy finish to help your diamonds reflect light and sparkle in the natural light. They are waterproof and durable; your diamond masterpiece will stay strong for a long time after it is complete. Unlike other 5D diamond painting canvases, ours are engineered to roll out smoothly and lay flat so you don’t have to wait to start your work of art. Diamond Art Club™ knows that the most important element of your painting experience is the quality of design. We use a patented, high tech print technology to ensure your painting is easy to read, understand, and most importantly beautifully crafted for a quality finished result. Our artists work diligently to create beautiful works of art for you to create, and these works are carefully translated to the canvas with the same detail and beauty as the originals. Our printing is permanent, mar (scratch) resistant and fade resistant. We use only non-toxic, eco-friendly inks in our printing and ensure the highest quality with every painting sold. 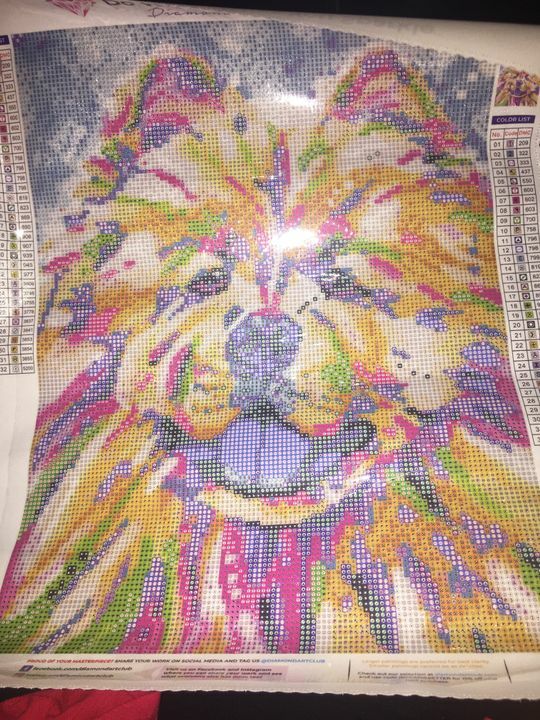 Diamond Art Club™ uses a proprietary, hi-tech adhesive formula, engineered by industry experts specifically for long-lasting 5D diamond painting. This adhesive technology makes the diamonds easy to place and will hold them to the canvas indefinitely. Diamond Art Club™ is changing the industry standard for 5D diamond painting, because unlike other brands, our diamonds and artwork last. Diamond Art Club™ also uses a transparent film to cover the adhesive, allowing you to see your entire work area at any given time. This makes the process easier, as you can visualize your artwork and see your progress on the painting as you create it. The Diamond Art Club™ considers quality and safety our top priorities. We use only first-grade materials that have passed stringent testing in our production so you can be sure what you are buying is safe and toxin-free. This is especially important if you are planning to paint with children or have children in the home. Every component in our kits has been tested and independently certified as compliant according to US and EU regulations. That means our kits are made of only the best quality materials and are 100% safe to use. Finished in a week and a half. So much fun. Did it all by myself. Very relaxing. 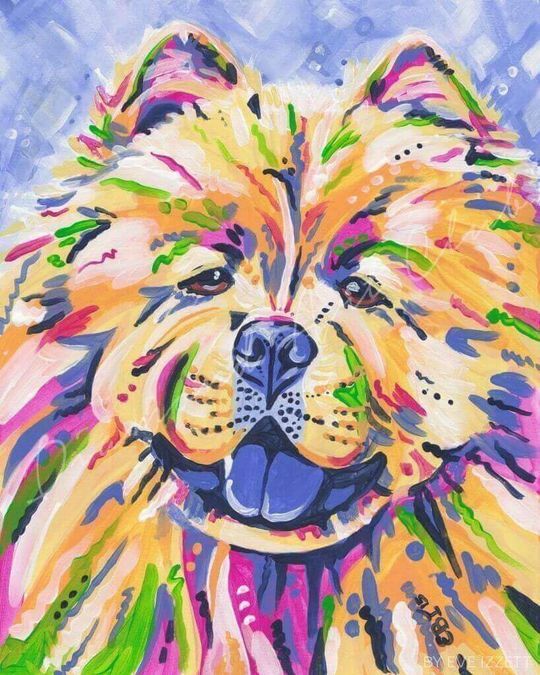 I completed this as a birthday present for my mom who owns a chow chow. My four year old son even helped. This was an awesome experience and one of the best presents my mom received in years (her words). She had it framed and it is displayed in the living room for all to enjoy and admire!